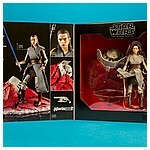 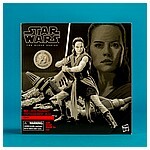 The Black Series Rey (Jedi Training) Crait 6-inch action figure featured on this page was sold exclusively at Toys "R" Us and began hitting shelves in November, 2017. 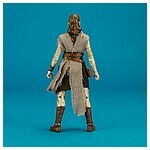 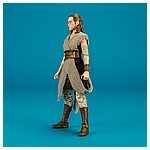 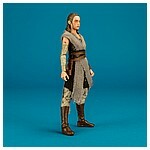 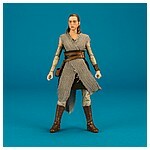 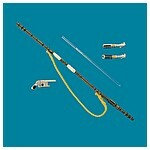 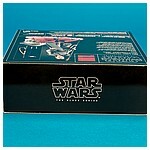 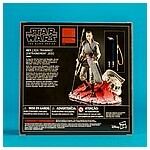 This version of Luke Skywalker's final Padawan features highly detailed paint design and fabric tabards. 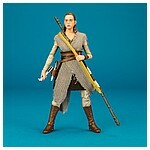 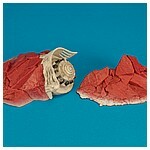 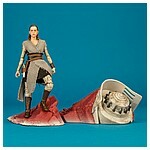 The figure came packed with a diecast blaster and Anakin Skywalker's Lightsaber hilt, as well as a two-part plastic version of the same elegant weapon, her trusty Bō Staff, and a two piece Crait display base.